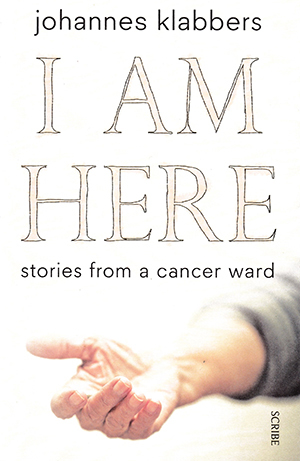 Nicola James reviews this memoir about encounters with people on an oncology ward in Melbourne. The author of this book gave up a university career and alcoholism to become an agnostic trainee pastor in Australia with a particular interest in offering pastoral support to atheists. The book is a memoir about encounters with people on an oncology ward in Melbourne, and offers an insight into how different people cope with serious illness. The setting of this book is Australia and there may be some cultural differences but I did not feel comfortable with his approach. I might seek support from trained Macmillan nurses but I would not welcome unsolicited offers of pastoral care but it seems several of the patients he has encountered shared my view. The author seemed to feel hurt when his offer of a friendly ear was rejected. The people who did want to talk to him, however, probably found their time together therapeutic. His narrative encompasses some interesting philosophical and historical asides that I found far more enlightening than his description of time spent with patients on the ward. I was particularly interested in his recollection of his visit to Auschwitz, and his discussion on human suffering and the infliction of that suffering by others. This is not a bad book but there are better alternatives about intimate conversation with someone living with a terminal illness.